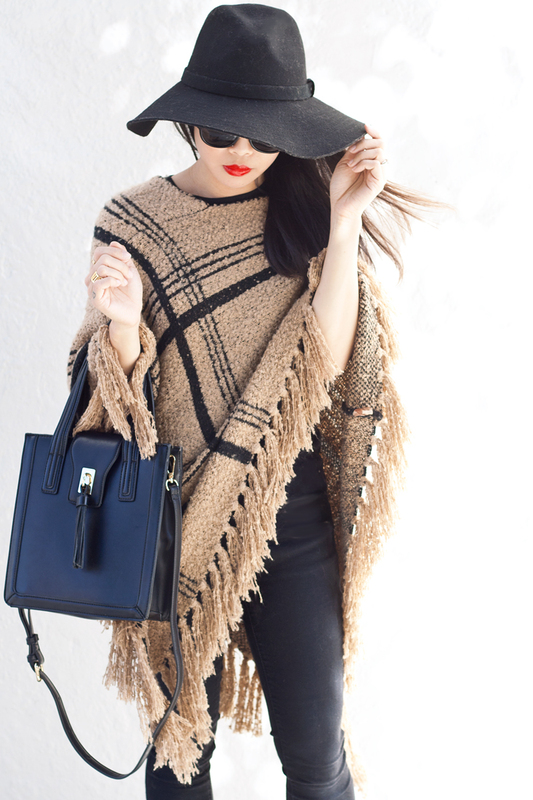 I am falling in love with a few things this Fall... knit, fringe, poncho, and plaid. I suppose those are typical Fall styles but I can't help that I am so excited about this piece! 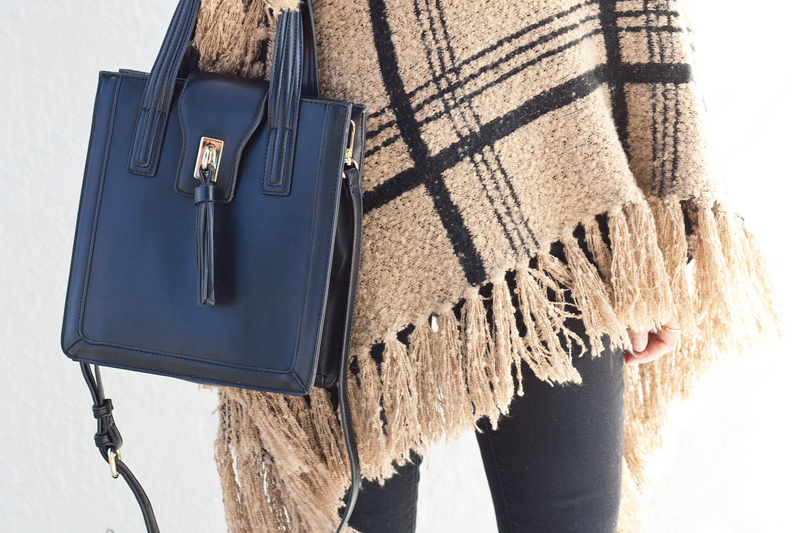 It is practically a blanket and it keeps me feeling especially cozy during my chilly morning commute! I paired it with an all black ensemble to keep the outfit looking neutral and sleek. 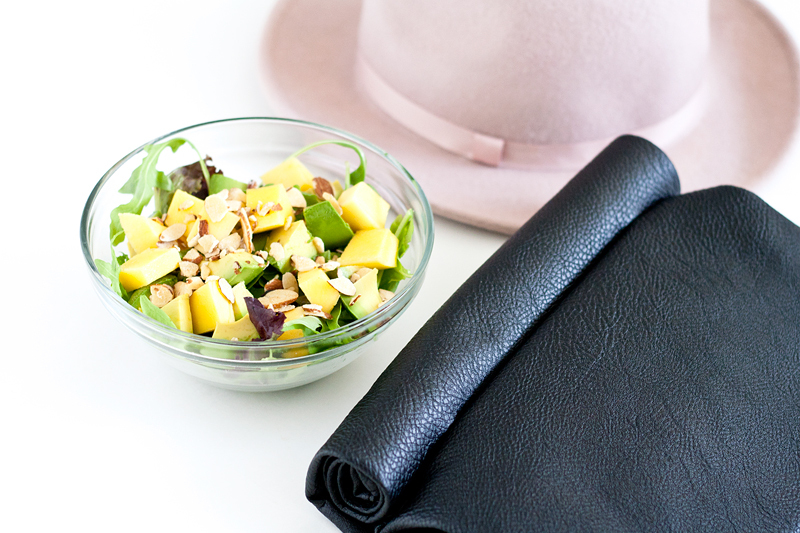 Not to mention you just can't go wrong with black denim, black wide brim fedora hat, and this lovely black structured satchel with tassel! Oh and do my stacked heel booties look familiar? I've been living in them (also seen in the last post) all week! 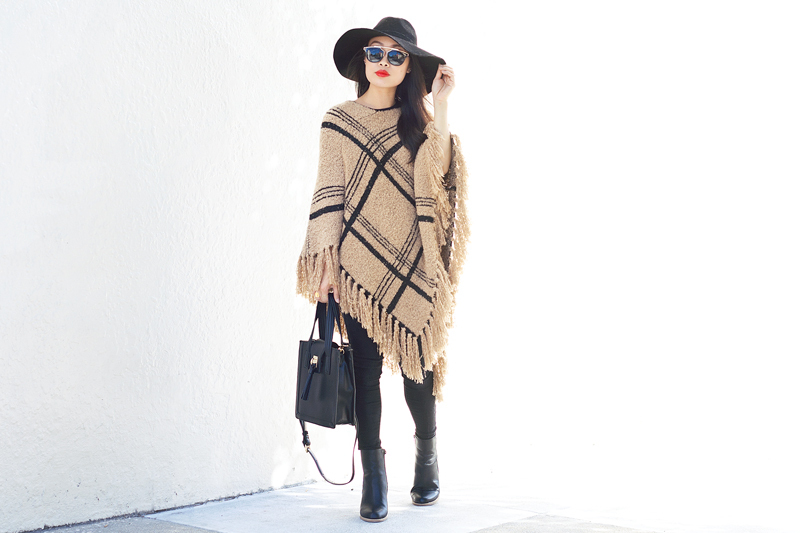 Plaid knit poncho from GoJane. 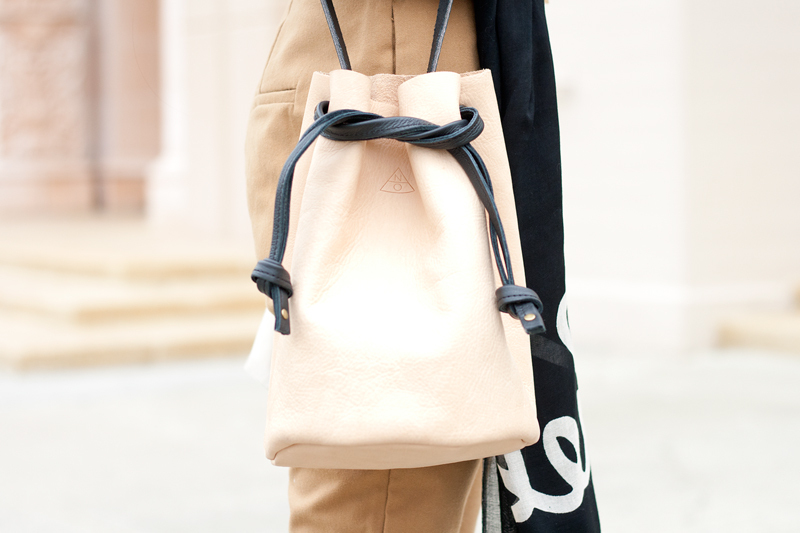 Hayes mini structured tote c/o Sole Society. Micah stacked heel booties c/o Sole Society. Fedora hat (old, similar here and here) c/o F21. Sunglasses (sold out) c/o F21. I love the functionality of backpacks but I don't typically like the way they look. 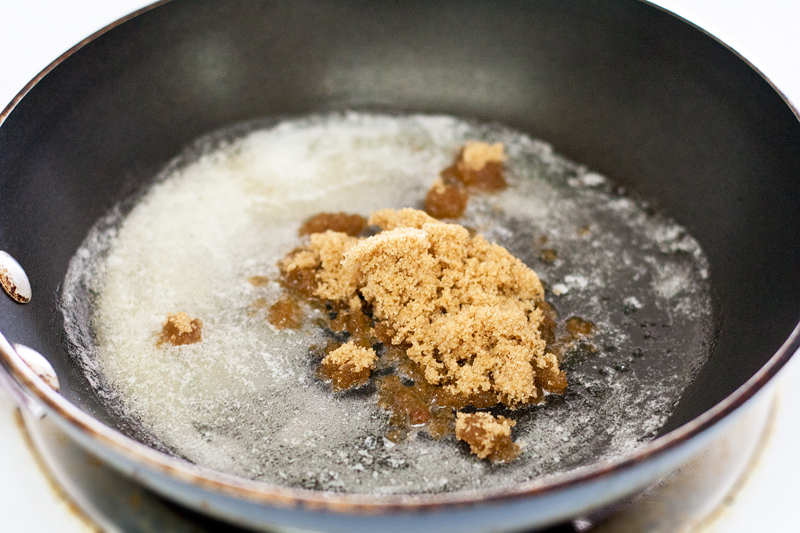 Well, that is no longer the case! 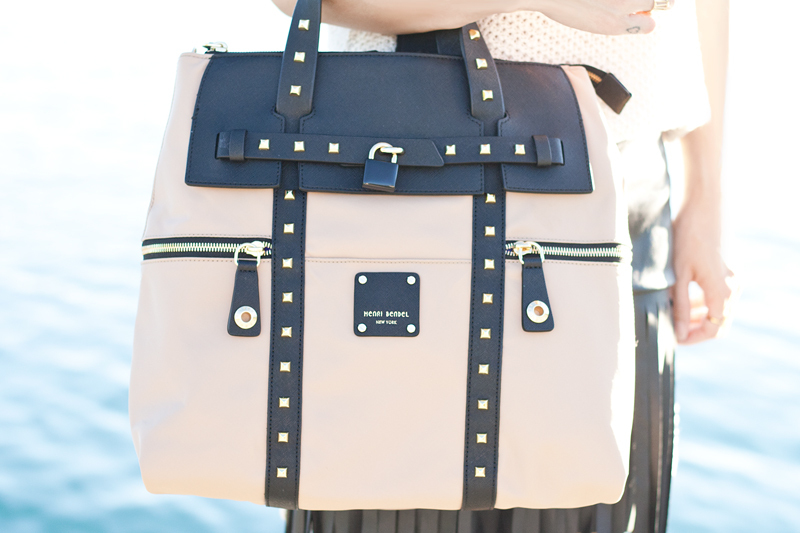 I am absolutely in love with my Jetsetter backpack by Henri Bendel. 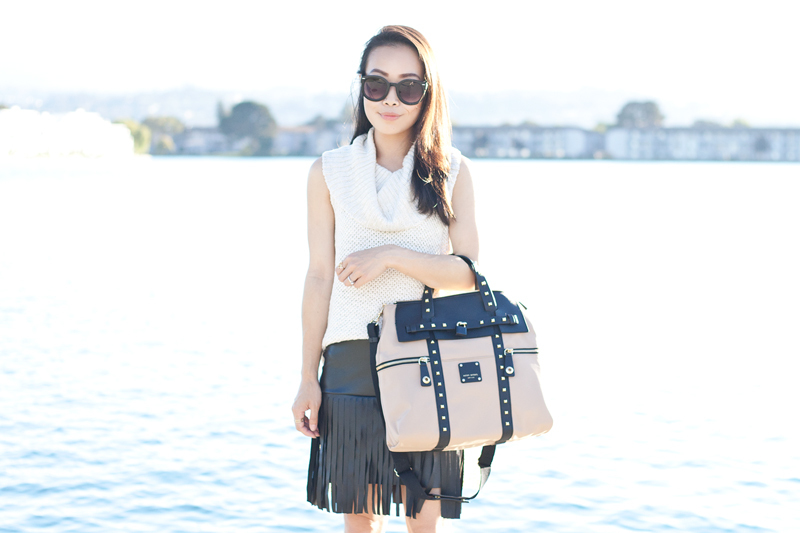 Not only is it a backpack, you can also convert it into a satchel and a crossbody bag! It comes in many different colorways and they are all gorgeous but I decided on this black and beige one with studded details. I paired it with a cowl knit tank, fringy leather skirt, and black leather booties. Oh, did I mention this Jetsetter backpack was seen on T. Swift (she has the black one)? Now I feel extra cool! 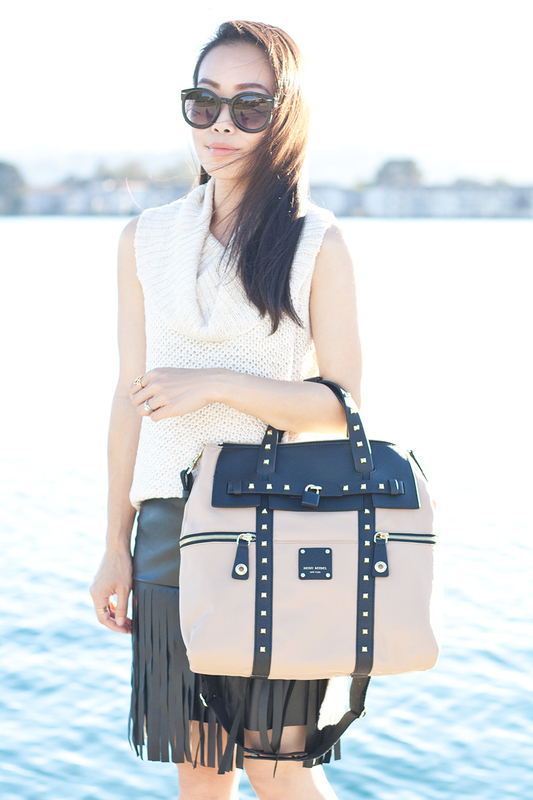 Jetsetter studded convertible backpack c/o Henri Bendel. Cowl knit tank (sold out, similar here) c/o Charlotte Russe. 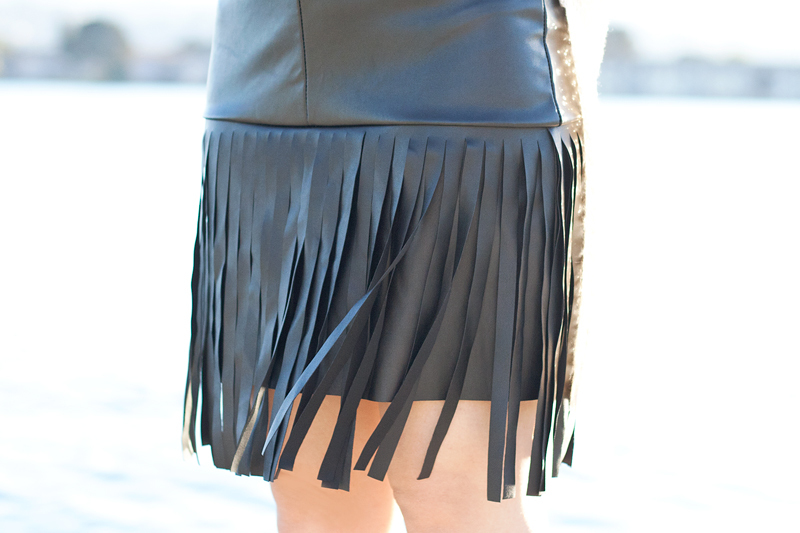 Fringy leather skirt c/o Charlotte Russe. 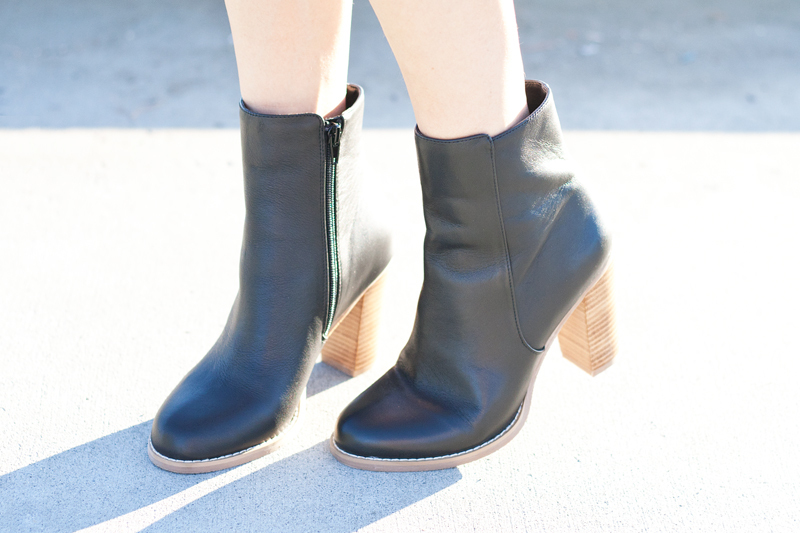 Micah stacked heel leather booties c/o Sole Society. Happy first day of Fall! 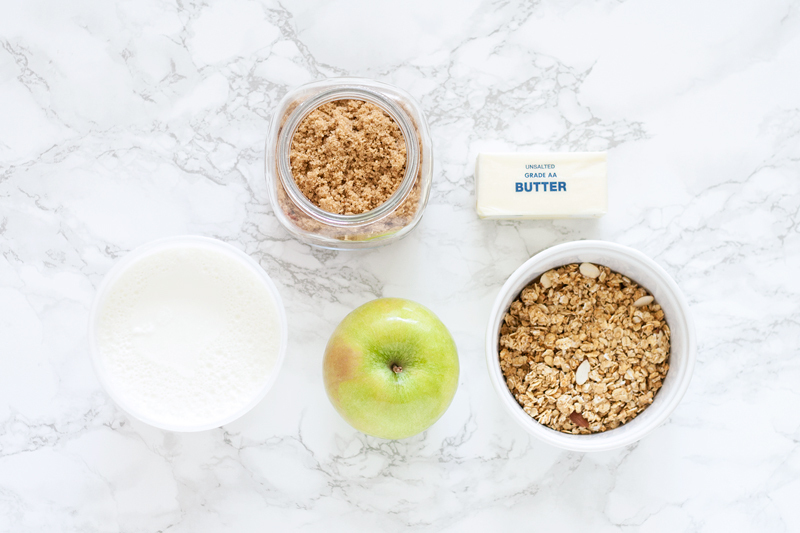 I am dreaming of pies... which leads to apple pie... which leads to this recipe! 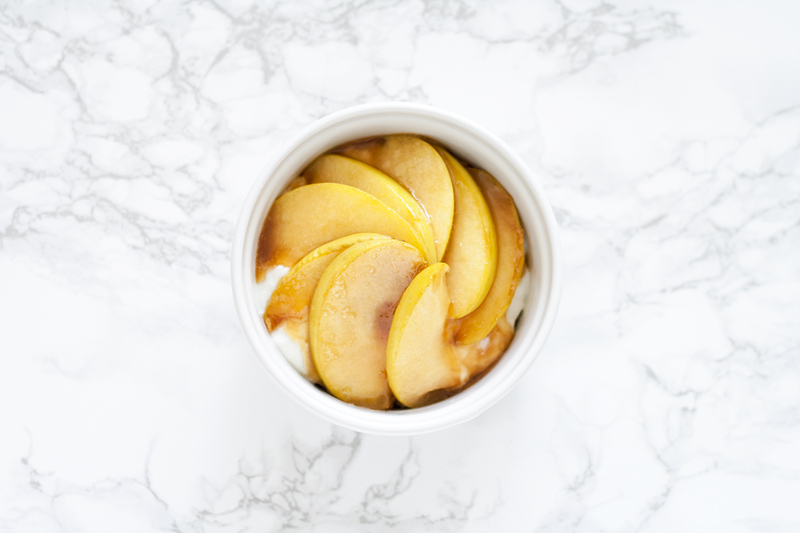 Parfait is delicious but I am a bit tired of the typical ones with berries! 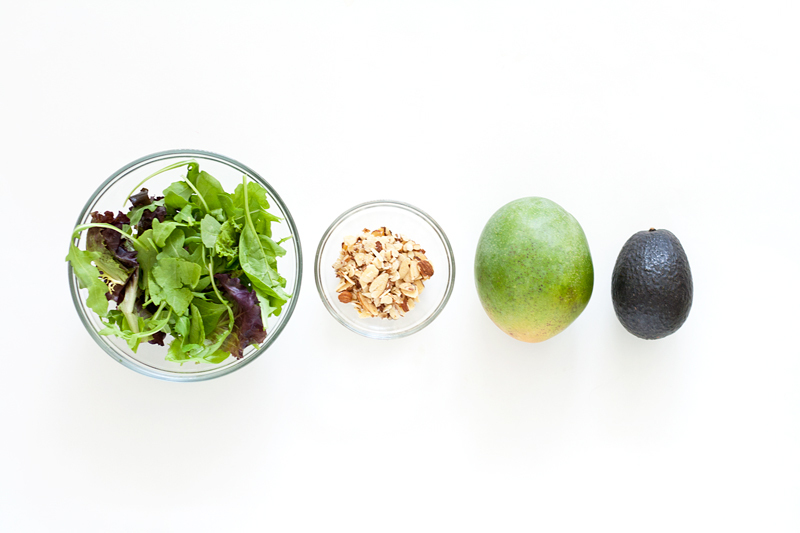 So, I thought... what other fruits can I substitute with? 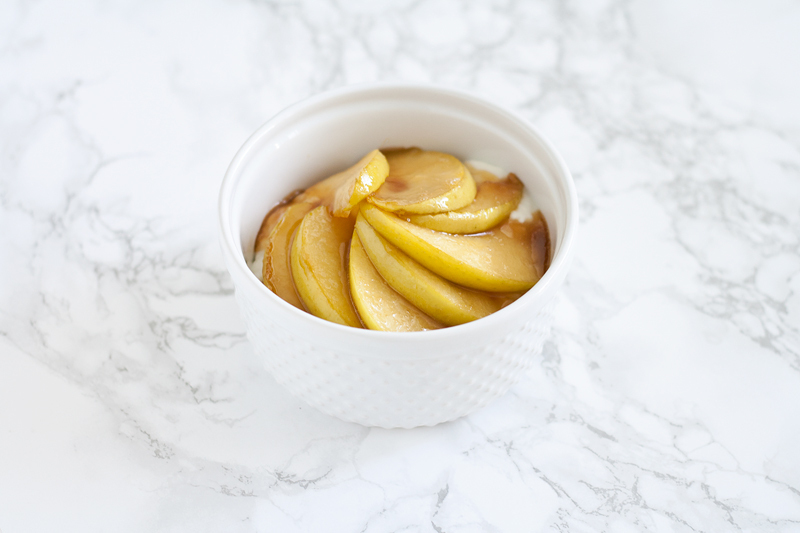 Apple pie magically popped into my head and I came up with caramelized apple parfait! 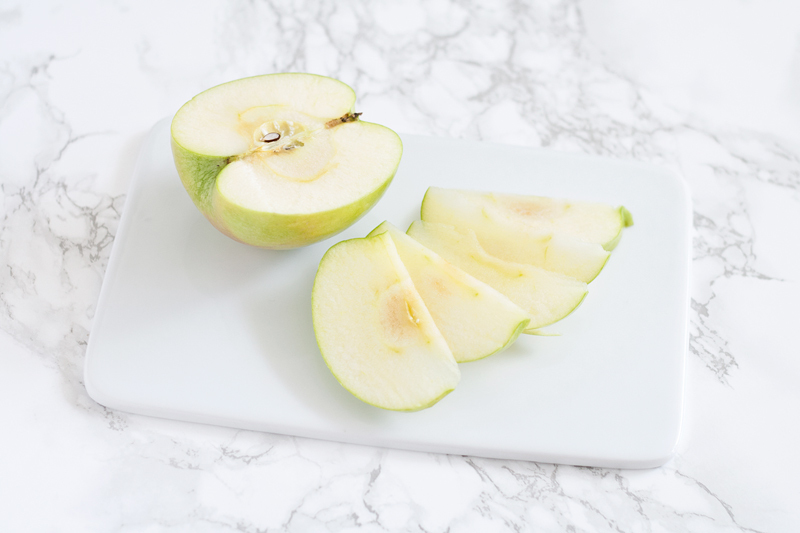 Thinly slice half of an apple. 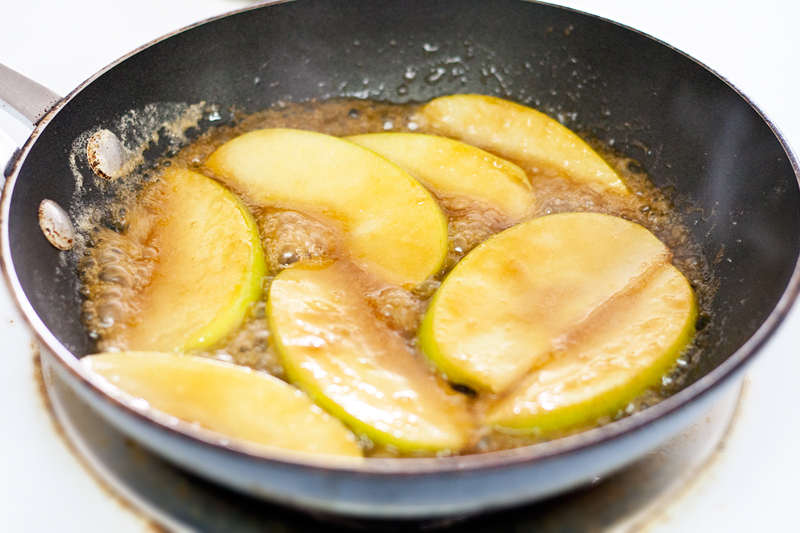 Melt butter over medium high heat in a pan, add brown sugar, add apple slices, cook each side for about 5 minutes until caramelized. 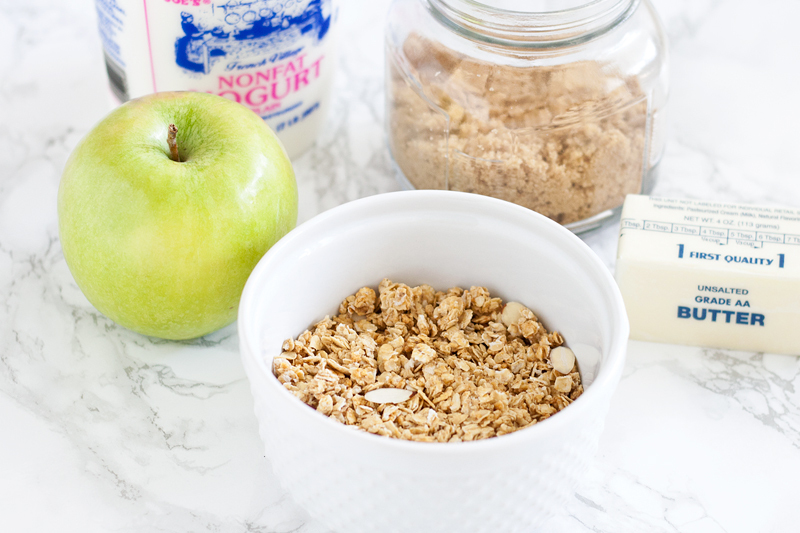 Put apples over a bowl of granola and yogurt!!! Enjoy! 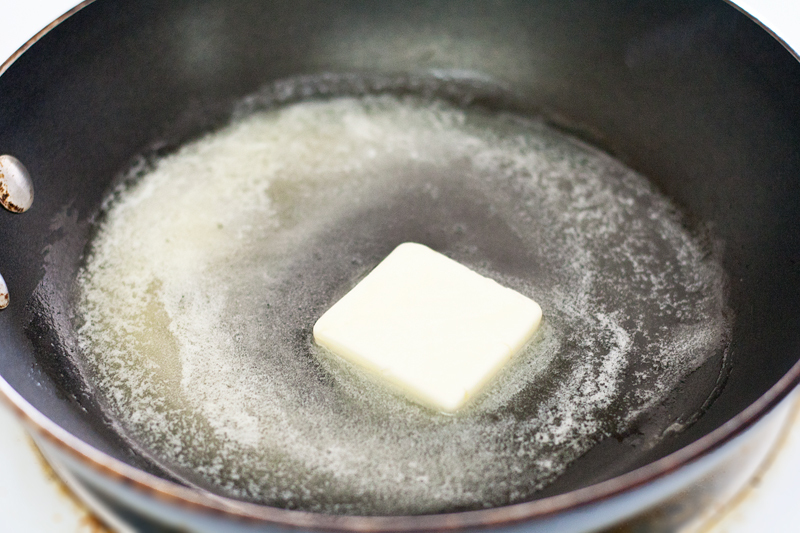 Don't let it fool you! I am not wearing a sweater over a shirt dress, this is a one-piece dress! I love layering but sometimes the pieces just don't sit right... the dolman sleeves of a shirt bunch up in the arms underneath a sweater or the collar doesn't pop over the sweater like I had envisioned. This dress is awesome because it gives the illusion of two pieces layering without the discomfort one might encounter with layering. Definitely a win win situation! 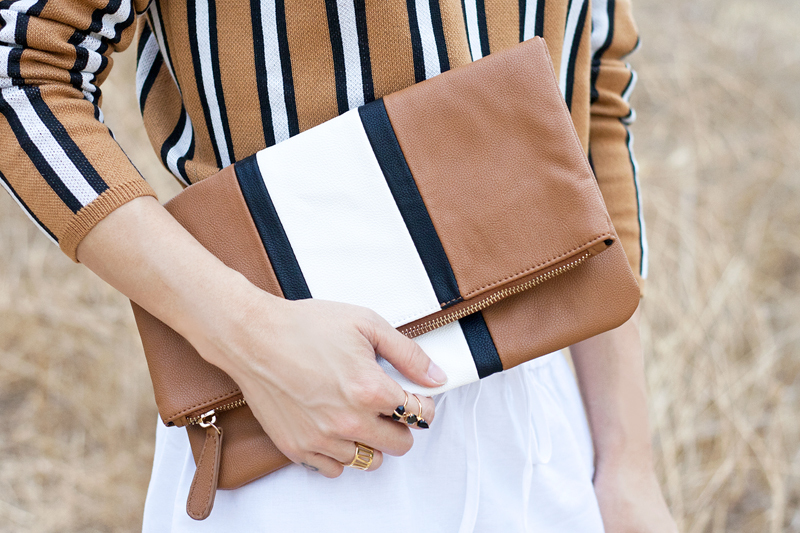 The best part of this outfit though is that my clutch matches the knit oh-so-perfectly! If they aren't match made in heaven, I don't know what is! 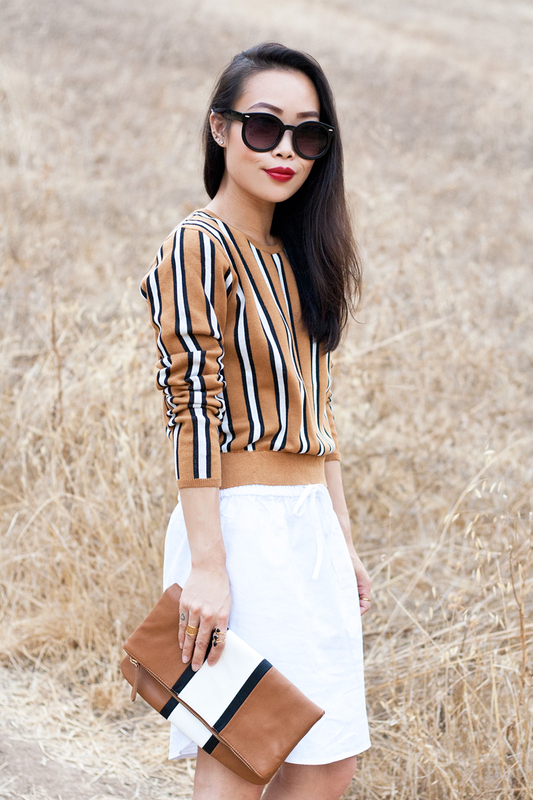 Striped sweater shirt dress c/o Pixie Market. Cut out heeled booties c/o F21. 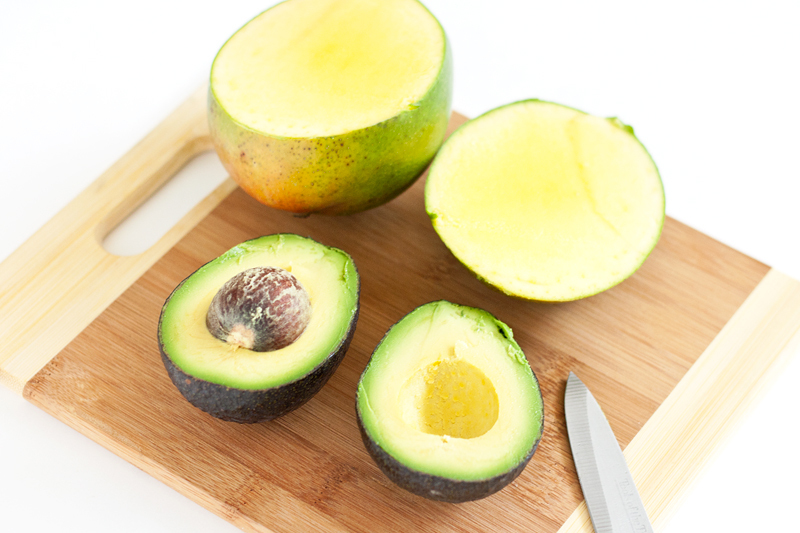 I love avocado! I mean, who doesn't? 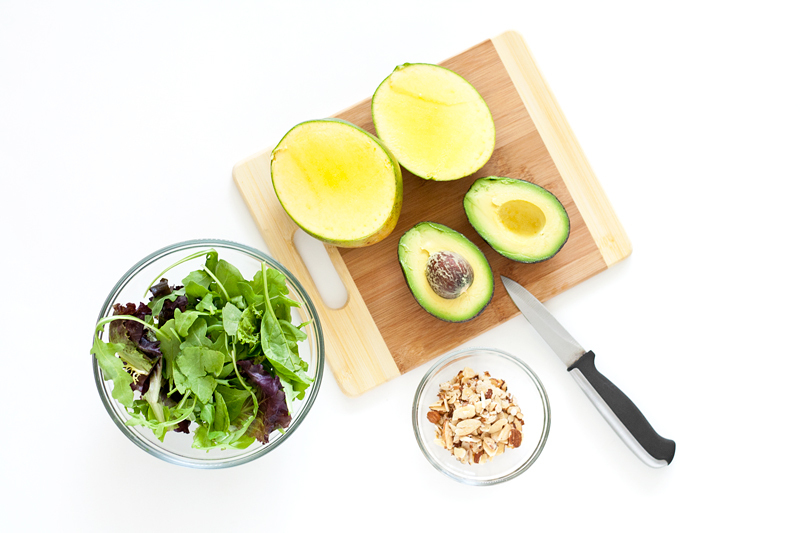 I especially love it in salads! 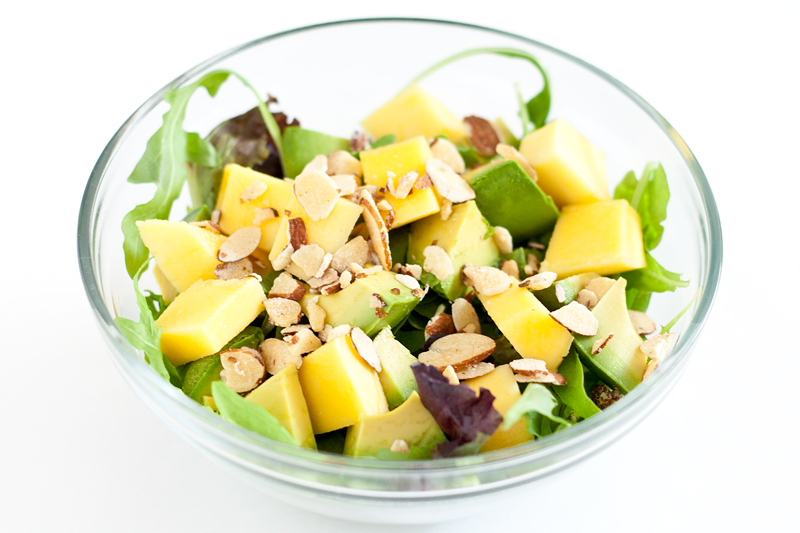 Here is a very quick and simple avocado and mango salad recipe that is healthy and delicious! 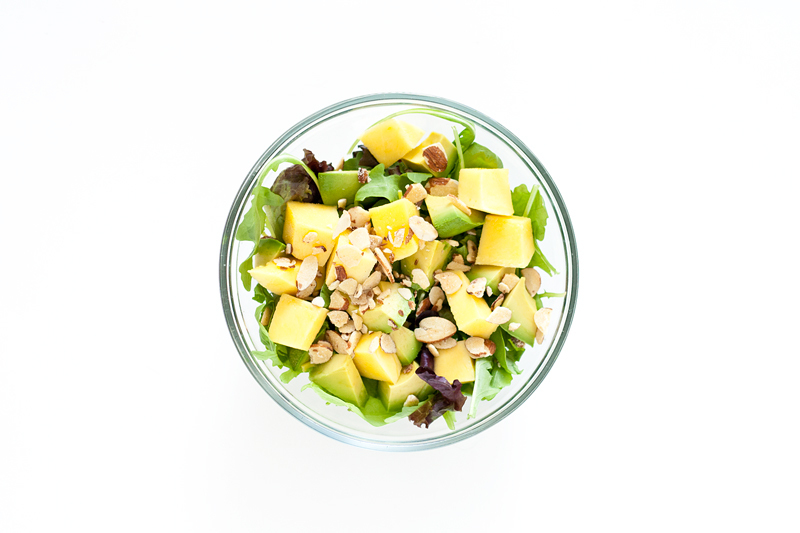 Simply peel and chop up an avocado and mango, throw them into a bowl of greens, drizzle with olive oil and balsamic vinegar, add salt and pepper to taste. 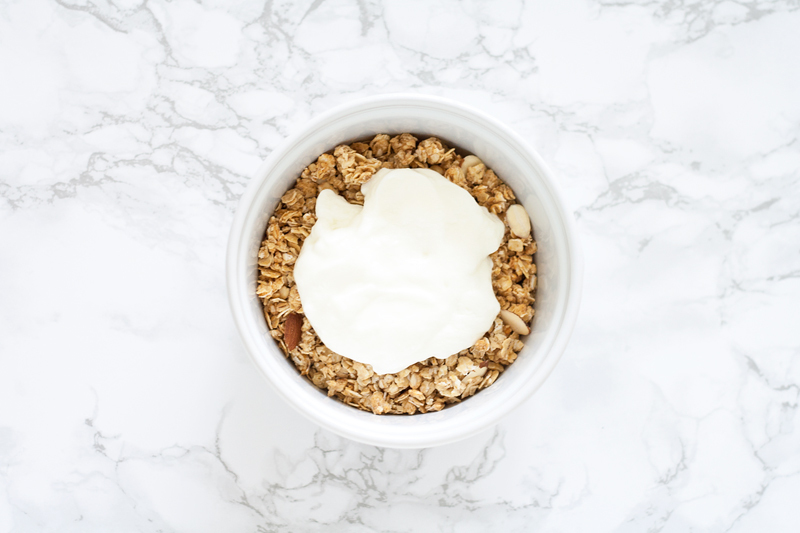 Mix well and top with some toasted almonds! 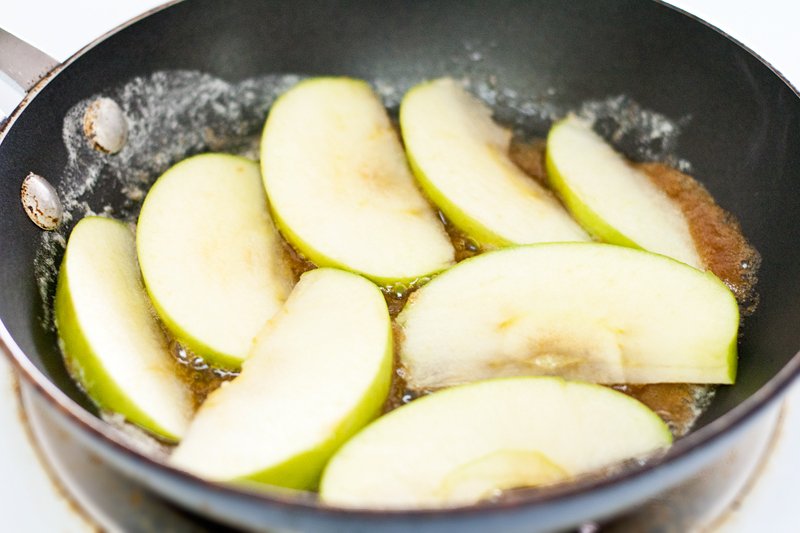 Quick, yummy, healthy! When it comes to Fall, one of the things I am most excited about is wearing scarves. I have a vast collection of scarves... solids, prints, cashmere, knit, fur... you name it, I've got it! However, I don't have any novelty ones so I am quite thrilled to add this "Hello Goodbye" scarf to the bunch! It is what it is and it is simply amazing! 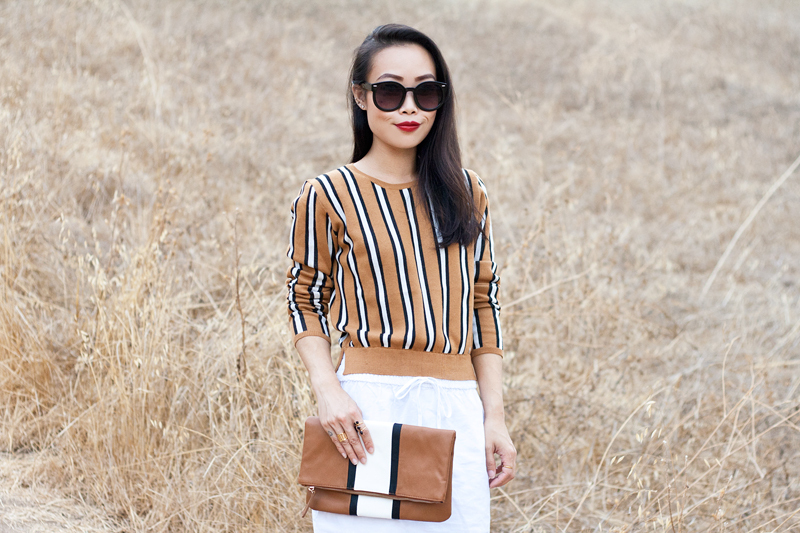 I paired it with a striped top, high waisted trousers, and this lovely leather bucket bag. Life is too short to dress seriously, this scarf is a great reminder of that! Hello Goodbye scarf c/o Fab.com. 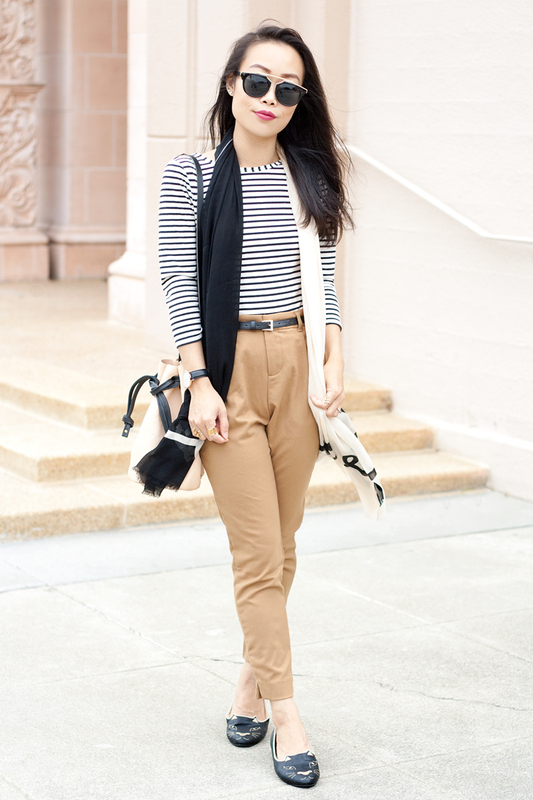 High waisted trousers from Old Navy. 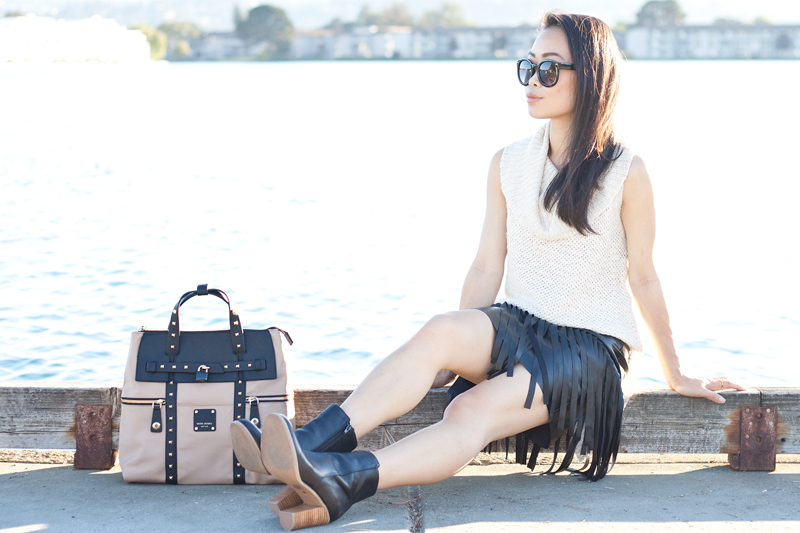 Leather bucket bag c/o Fab.com.